You could say that the idea for Annie’s Bakery began forming the day that Joe and Annie met. Joe, like his mother, father, grandfather, and great-grandfather before him, worked in his family's Italian bakeries from an early age. His father moved to the United States in 1952 from Italy and met Joe's mother when he started working in her father's bakery. Together they opened three bakeries before moving to Greenville, SC in the late 80s, where they formed Boiano Bakery, a large wholesale bakery. Joe and Annie met when he started delivering bread to her natural food restaurant in Greenville. Annie’s respect for slow food began as a child when she would watch the love that her mother put into cooking and serving wonderful meals for her family. When she opened her restaurant she knew that she wanted to show the same love to her customers by serving delicious and wholesome fare. With Joe’s experience as a fourth generation baker of European-style breads and Annie’s commitment to using wholesome and all natural ingredients, Annie’s Bakery was born. For three years they baked out of their garage in western North Carolina until their business had grown so much that an expansion was necessary. 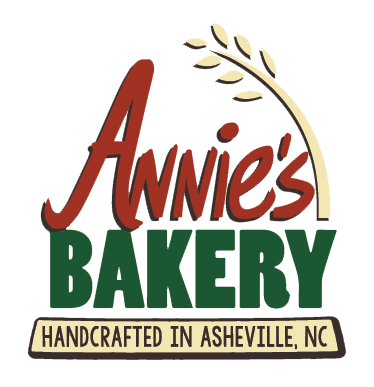 They moved their operation to downtown Sylva and opened Annie’s Naturally Bakery and Café. In spring of 2010, they expanded their bakery to a 21,000 square foot space in Asheville, NC. They believe that Annie’s breads are a perfect fit with the Carolinas' growing reputation as a mecca of local food, from micro brewed beers, fresh produce, and home-grown meats to cheese and Annie's artisan breads.